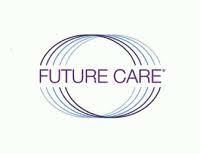 Future Care is an international medical management, cost containment service, and telemedical service provider exclusively to the maritime industry, serving shipowners and P&I Clubs in fulfilling the medical needs of seafarers, aboard ship and on land. The Company was founded in 1998 by CEO and President Christina DeSimone, who brought her unique brand of medical case management for land-based employees directly to shipowners and ship managers, to better manage the medical care of their crews. Future Care has grown rapidly since then, filling a need in the maritime community for expert management of seafarers’ medical treatment and services around the globe.